With less than one week to go until this years Dublin Tech Summit, there seems to be a lot going on this year. They’ve put together a list of what not to miss so you can make sure you’re prepared. The content for DTS19 is pretty extensive and can be divided into four themes. Emerging Tech (which would include areas such as machine learning and AI, blockchain, 5G etc. ), Space Exploration, Tech for Good & Diversity. 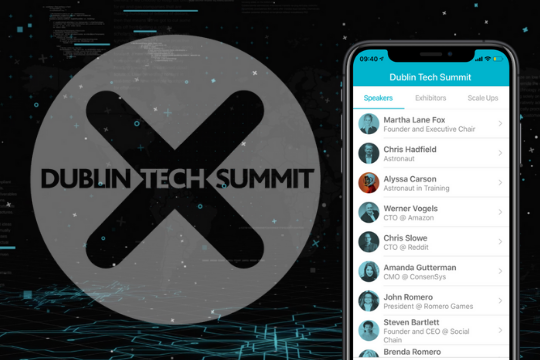 You can download the Dublin Tech Summit app (available now on Google Play & the App Store) and put together your own schedule to make sure you don’t miss any of your top talks. Check out the full line-up of speakers to start deciding who you want in your schedule. There are some really interesting exhibitors and there will be a hackathon taking place each day. Day 1: Coders will have five hours to piece together a cryptographic puzzle using Mastercard’s platform and blockchain API. Solve the challenge for a chance to win a job opportunity with Mastercard. Register here. 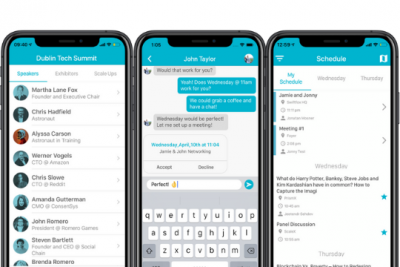 Day 2: Take on an innovation-sprint to create mobile apps that can help connect the community to the homeless. Register here. You will be able to schedule meetings with other attendees via the DTS app but if it’s a more informal way of networking you’re after you have a choice of evening networking events to head along to the team at WOW dinner have been organising fantastic networking dinners around the world and the evening of April 10th will host the first Dublin edition. Pick up a ticket here to enjoy some great food amongst great company. There looks to be a pretty strong developer-focus at DTS this year, there will be workshops and demos designed to teach new skills and improve on current skills for people at all levels so be sure to get yourself down to one of these and see how you can learn something new. If you haven’t gotten your tickets yet, you can still get yours here.